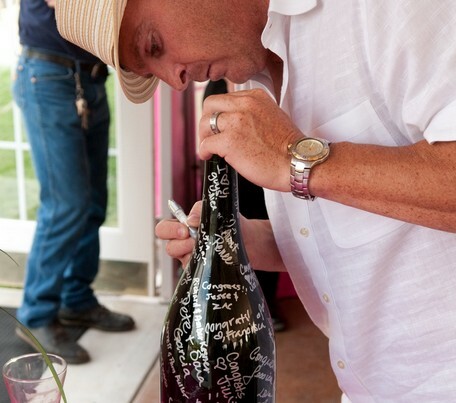 Have your guests sign a large wine bottle as your wedding guestbook! See the actual photo on the source. See a tutorial for this idea using multiple bottles with personalized printed labels. See a tutorial for this idea using the wine bottles as table numbers as well as guestbooks. See a tutorial for making wine bottles covered with chalkboard paint for this idea.